Rachna Clavero (B.A.Sc., P. Eng) is the Director of Nuclear Safety and Environmental Affairs at CANDU Owners Group. In this role, she oversees facilitation of industry alignment on key nuclear safety and regulatory issues, and promotes adoption of common strategies among the COG Members. Rachna has had a diverse career in Safety Analysis and Licensing. She has worked for Atomic Energy of Canada Limited (AECL), Candesco Corporation and the Ontario Ministry of Energy. She began her career performing safety analysis for the restart of the Ontario reactors and then moved on to regulatory projects for the Canadian utilities and waste management. Rachna returned to AECL to lead licensing for new CANDU designs. During her time at the Ministry of Energy she provided strategic advice on nuclear new builds, refurbishment, radioactive waste management and emergency planning. Rachna joined COG in October 2015, where she developed the Strategic R&D program and helped the industry establish long term priorities for R&D. She was appointed Director of Nuclear Safety and Environmental Affairs in August 2017. 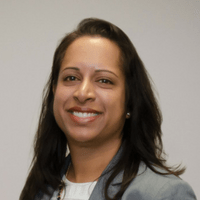 Rachna has consulted internationally at the IAEA and sits on the committee developing Nuclear Safety Standards at the Canadian Standards Association.